Herea��s a common scenario: you want support for a service, but after innumerable number punching and menu choosing, you still cana��t shake off the pre-programmed voice and get a definite answer. If only getting customer service were as easy as WhatsAppa��ing your friend! Thata��s the Eureka moment that got friends and partners Aakrit Vaish and Swapan Rajdev to start Haptik Inc, and launch the app. a�?Instead of searching online or sitting through boring call centre music, you can chat with a support expert and get your queries answered,a�? says CEO Vaish. The app currently supports 148 companies, across 11 categories including airlines, banking and telecomm. Information for over 95 per cent of issues a�� from how much luggage Air France lets you carry to queries on roaming tariffs a�� is available in the public domain (company website, FAQs, etc). a�?Wea��ve aggregated and put it in one place (their custom back-end software),a�? 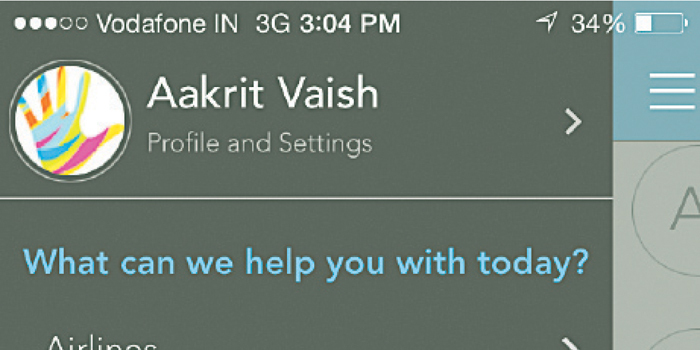 continues Vaish, who earlier headed India operations for Flurry, a mobile advertising company. a�?And when we dona��t have access to something, we get in touch with the company,a�? he says, adding that a�?Haptik, spelled with a a�?ca��, means the study of non-verbal feedback.a�? Haptik, which went live on March 31, currently has a 15-member team and works from 7 am to midnight daily. a�?We get around 3,000 messages a day,a�? says Vaish, adding that they are in talks with 12 companies and will be signing on five by the end of the month. Up next are plans to take their services 24×7 and enable picture sharing. a�?Often customers want our experts to take a look at screenshots,a�? Vaish signs off. As IT changed mediums from Sanskrit to Konkani and then to English, Bhagavadajjukam became The Yogi and the Dancer a�� a comedy geared towards kids by Tara Kini and Arundhati Raja. a�?It is really for anyone who has a funny bone in the classic sense but ita��s simple language makes it very appealing to children as well,a�? begins Raja about the farcical drama that revolves around the chaos that ensues when the soul of a yogi (mystic) is interchanged with that of a classical dancer (originally a courtesan). a�?The play begins with the narrators setting the tone and the background, before joining the action on stage,a�? shares Raja. 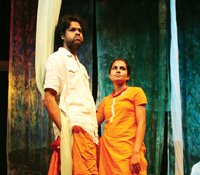 Kanchan Bhattacharya plays both the Suthradhar (narrator) and Yogi, while Vivek Madan plays Yamadutta or the messenger of death. a�?His role is critical because he mixes up their souls and becomes an agent of confusion,a�? Raja reveals, explaining that the plot is a comedy of errors. And while it caters to a kiddie audience, Raja admits that it was originally an adult-centric play. a�?There is loads of innuendo and relationships that adults will relate to,a�? she explains. a�?The nature of a play is determined by the way the actors interpret it, plus their tone and delivery. So, I havena��t moved away too much from the original but have tweaked the way it is played out.a�? The drama unfolds in a lush garden, with plenty of music, dance and comedy, as it keeps you in suspense over how the chaos will be resolved and order restored. Apart from the actors, Raja has brought Rukmini Vijaykumar on board, to choreograph the classically-oriented dances by Sonam Pawar, who plays the Dancer. a�?None of the actors are professionally trained in classical singing or dancing, but they have worked very hard over many months and I think they have done a great job,a�? she tells us. Raja also promises an interactive experience that involves the audience. a�?There are several instances when the actors turn to the audience for an opinion or direction,a�? 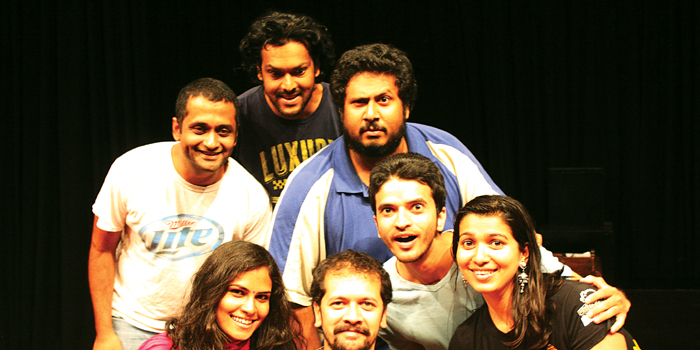 Raja says as she points to a striking similarity between Shakespearean farce and Sanskrit comedy. a�?They were both written as a source of entertainment and have risen through the centuries to become classics. Many of the styles and even characters are similar. For example, Puck from Midsummer Nighta��s Dream is very similar to Yamadutta in this one.a�? So, what is in store here is a classic comedy written in simple verse, with a generous sprinkling of music and dance. May 23 to June 1 at 6.30 pm. Rs. 250. At Jagriti Theatre, Whitefield.